Saba Qamar has made the debut in Bollywood by working in the first movie, Hindi Medium with the leading actor, Irfan Khan. Her movie has won the best film in the Flmfare award 2018. She has shared this new on the instagram and she has expressed her joy. Actor Irfan Khan is the leading actor and he won the filmfare best actor award in the leading role in male and she won the filmfare best actress award for the female role for Tumhari Sulu. 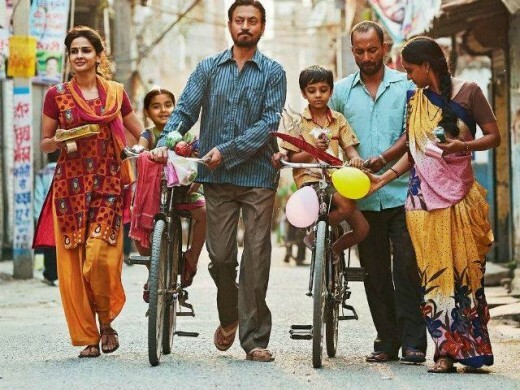 The Hindi Medium of Saba Qamar wins the best film at the filmfare awards 2018. In this ceremony, there was huge number of the celebrities, who walked on the ramp with the co-star of Pad Man, Sonam Kapoor, Arjun Kapoor, R Madhavan, Alia Bhat, Saqib Saleem, Karan Johat, Rarineeti Chopra, Shahid Kapoor, Preity Zinta, Ammal Malik, Rekha, Vidya Balan, Madhuri Dixit, Jaya Bachchan and other.